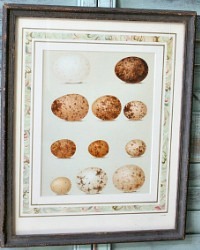 Antique decorative Egg Print featuring 11 eggs, in cream, gold, and brwon, just beautiful, this is a large bookplate. Centered inside an antique wood frame with a marbled paper mat liner, the gilt striping was done by hand. 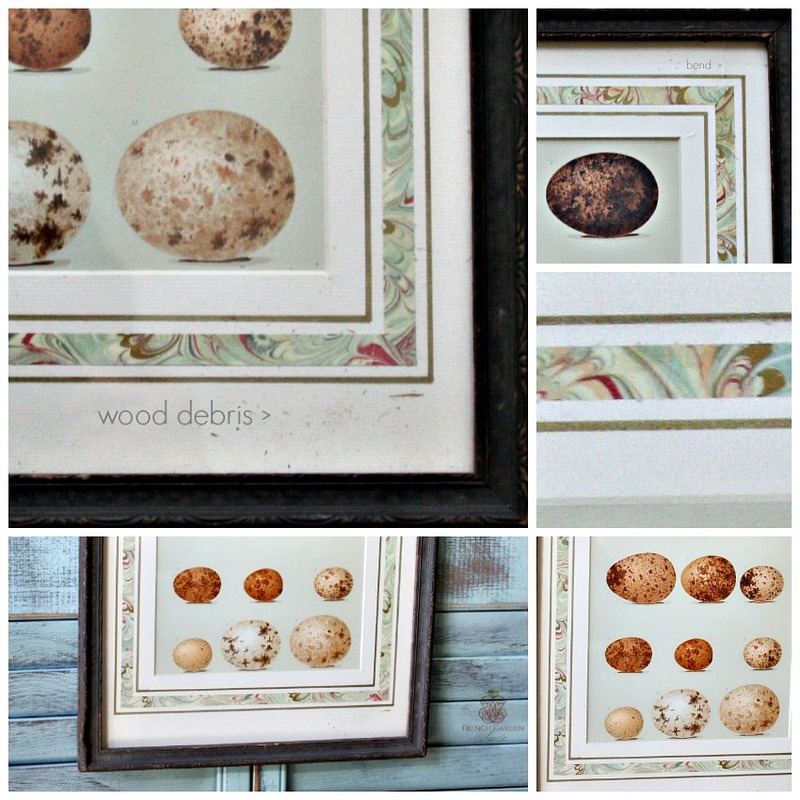 Both the print and the frame are in good condition, the frame does show slight wear. This print was professionally framed, with a new hanger on the back. Over the years some small bits of wood migrated from the frame to the bottom of the mat, see close-up. This doesn't bother me, and we decided not to take the frame apart. But you could certainly do that if desired. 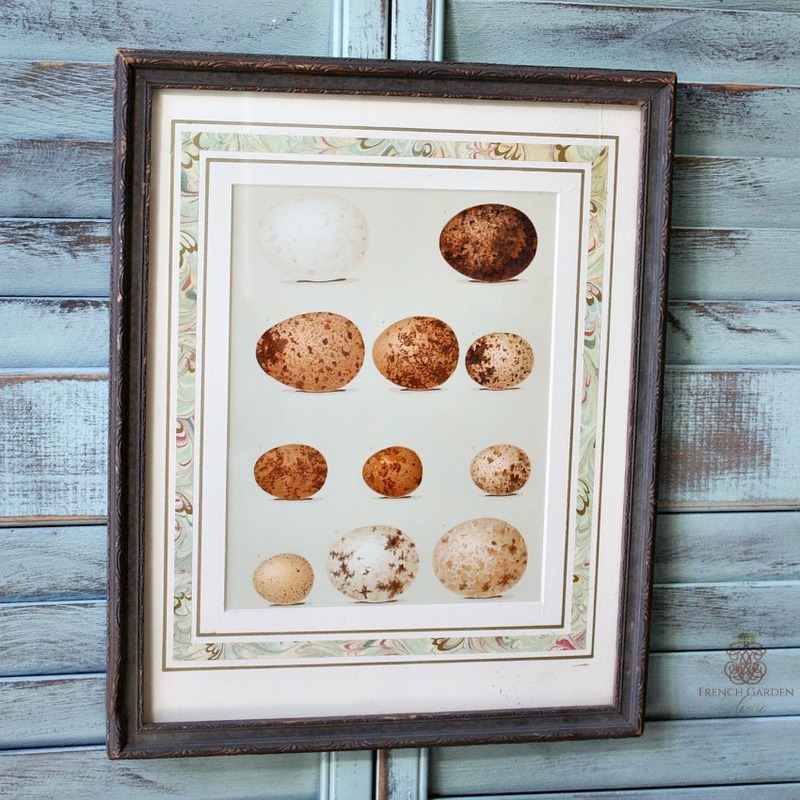 Ready to hang with other prints, or perhaps to display on a wooden stand with your antique bird books. Measures 15-1/4" x 12-1/4" x 1/2".